Wanless was established in 1966 to look after all of your equipment needs. Whether you’re buying, selling, or renting, we’ve got you covered. From a single equipment piece to an entire fleet, your purchases, trades or hire are our business. We offer full service convenience, and there’s no equipment request we can’t fill. Wanless Machinery has a dedicated eight acre site in Brisbane that is completely Australian owned and operated. We have a committed sales and rental team to assist you with Wheel Loaders, Dozers, Excavators, Rigid and Articulated Dump Trucks, Compactors, Graders, Scrapers, and more. View all the machinery we currently have for sale on our inventory page. Each listing includes machinery pictures, pricing, features and specifications so you can make an informed decision before making a purchase. Once you’ve found the machinery you require, give our sales team a call on 07 3344 5111. We hire a wide range of earthmoving equipment from with our industry professionals here to help you with any need. 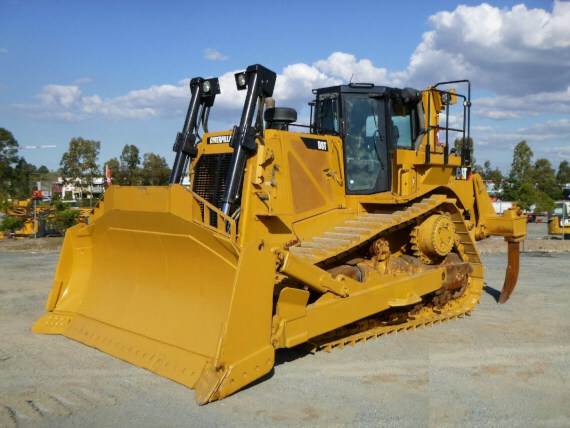 Our fleet includes, excavators, dozers, loaders, tool carriers, graders, articulated dump trucks. We have a minimum hire period of 30 days. We stock Australia’s largest range of Rubber Tracks and Pads for the construction industry with products to suit excavators, compact and multi terrain loaders, access equipment, dumpers and more. Our Coopers Plains warehouse in Queensland has the entire range of HXRT products with other locations in Sydney and Melbourne. For more information, visit the HXRT website here. Wanless was established in 1966 servicing the construction & mining industry. Our history of quality machinery at the right prices has built an endearing reputation that we strive to maintain. We’ve forged many relationships in the industry with contractors and dealers worldwide, reducing the hassle and running around for you. Thanks to our industry connections we are able to supply our clients with the right pieces of equipment to suit their needs at an affordable price. We can find and source any brand, type or size of equipment you’re after. There’s no limit to the earth moving machinery options we can find for you to purchase. Turn to us for any earthmoving equipment hire you may need, wherever you are located across Australia. If we don’t have the equipment you need on hand, we’ll go out of our way to source it for you. Got a particular piece of machinery in mind? We can source and obtain just the right piece of machinery you require. Whether you’re located in Australia or overseas, we can make sure you get the best value for money out of your machinery purchase. We have the industry connections and know how to source and supply you with the right piece of equipment for you at the best possible price.